This week, we're looking at Piedmont's 'people's grape', Barbera! Ah Barbera, the people's wine of Piedmont, renowned for its versatility, high acidity, and beautifully dark ruby red colour. It is currently Italy's third most-planted red grape varietal, after Sangiovese and Montepulciano and, although some have traced its origins to Lombardy, Piedmont is usually considered this red grape's spiritual home. Despite being a tremendously popular Italian grape, Barbera's history is not without controversy. In 1984, a scandal broke out when over thirty people died after drinking cheap Barbera wines that had been adulterated with Methanol. This caused a sharp nosedive in the grape's popularity and significant new restrictions were imposed on winemaking with the grape, particularly in the country's DOC (Denominazione di Origine Controllata) regions, such as the DOCs of Alba and Asti. Barbera vines have large leaves and tend to ripen late, allowing them to develop a high level of acidity. It's versatility allows it to be used in both young, inexpensive, and easy-drinking wines as well as in powerful, intense, and high-end bottlings. 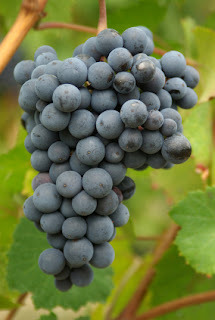 Traditionally, wines made with Barbera grapes tend to be full-bodied, light on tannins, high in acidity and dark red in colour. Some winemakers have recently begun to experiment with aging their Barbera wines in oak barrels before bottling. This adds spicy notes to the wine, as well as softening the acidity and adding tannins. Barbera wines can be paired with a large variety of dishes, including braised chicken, lasagna, barbecue ribs, and cheeseburgers. In addition to Piedmont, Barbera today can be found in a significant number of other wine regions. It is very popular in neighbouring Lombardia, as well as in Emilia-Romagna. It is also grown across international lines in Slovenia and has been introduced to Argentina and the hot Central Valley of Califronia. So, the next time you're looking for a big red wine to go with your week-end barbecue, give a Barbera a try! Flavour Profile: Dark ruby red colour, high acidity, low-to-medium tannins, low tannins. Notes of cherries, raspberries, and vanilla.